Jonathon Felix Tousignant is wanted by police and facing charges of property obtained by crime, breach of recognizance and being unlawfully at large. 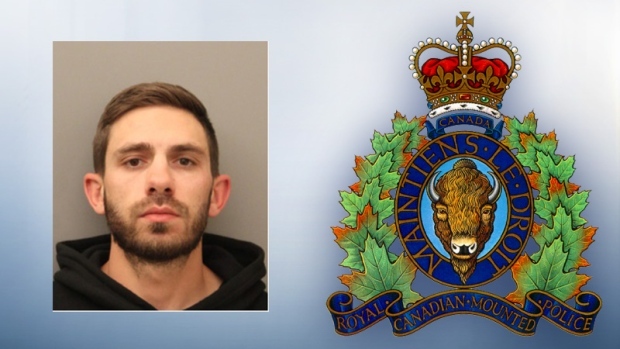 Police are seeking information on a man who is wanted in Leduc County but are warning the public not to approach him as he could be armed and dangerous. The Central Alberta District Crime Reduction Unit and Thorsby RCMP conducted a search at a rural property in Leduc County last week, recovering two stolen vehicles and a firearm. Jonathon Felix Tousignant, 32, faces several Criminal Code charges including possession of property obtained by crime, breach of recognizance and being unlawfully at large. He is described as a Caucasian male with brown hair and eyes, and possibly a full brown beard. Tousignant is 175 centimetres (5’9”) tall, and weighs 85 kilograms (187 pounds). RCMP said Tousignant should be considered armed and dangerous. Anyone who sees Tousignant should not approach him and call 911. The CAD CRU can be contacted at 587-335-1891, and Crime Stoppers at 1-800-222-8477. 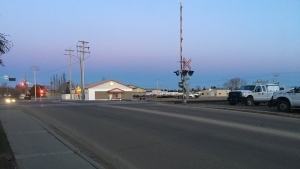 A 24-year-old man was seriously injured after being struck by a train in Wetaskiwin Saturday afternoon.